Raising $2,067 for the United Way of Johnson and Washington Counties. Collecting 256 pounds of toilet paper (780 rolls) for the Crisis Center of Johnson County. 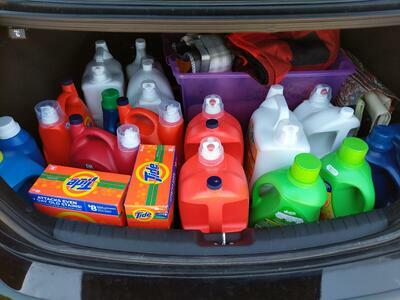 Collecting 1,880 loads worth of laundry detergent for the Crisis Center of Johnson County. Donating 35 units of blood at four blood drives for the Mississippi Valley Regional Blood Center which can help up to 140 people in the community. Collecting school supplies during a drive that our neighbor, MediRev, was holding for the Iowa City Community School District. 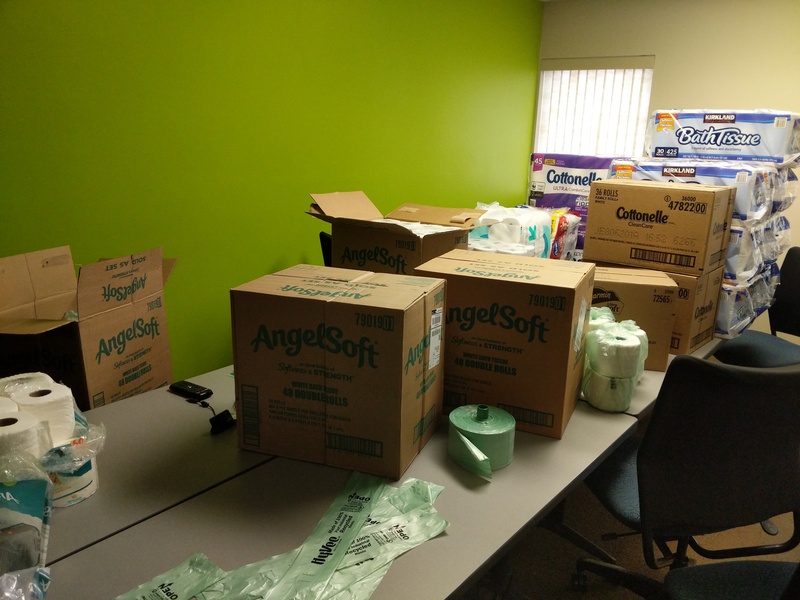 In addition to our toilet paper donations to the Crisis Center, ISE employees took time over lunch to repackage the toilet paper for distribution to the families that the crisis center serves. ISE employees value the importance of giving back. Whether it is at the office or after hours – you can usually find someone, somewhere volunteering in the community. At ISE, we’re proud to create a culture that gives back! Learn more about our culture and check out some additional blog posts on this topic! How do you get involved in the community? Meredith Godar is a software engineer at ISE and the head of the Philanthropy Committee. She graduated from the University of Iowa in 2014. After work she can usually be found relaxing with a good book, catching up on her favorite tv shows, or hanging out with friends and family.